Luckily I got my Free Jio SIM activated today and started enjoying its VoLTE feature and unlimited 4G Internet. 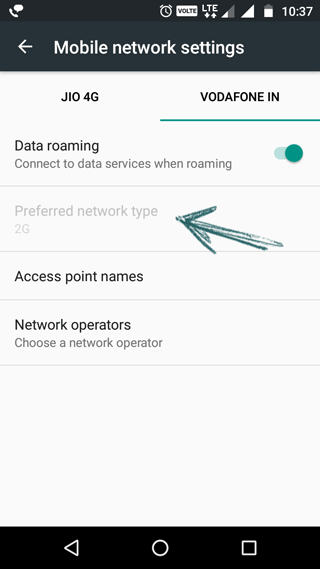 However, when I placed the Jio SIM in Slot 1, the Preferred Network Type option got disabled for Vodafone 3G SIM in second slot of my Moto G (3rd Generation). 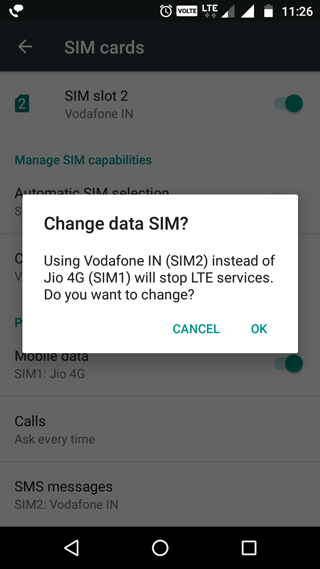 Now, to enable 3G/4G for second SIM, go to Settings->SIM cards and change the Preferred SIM for Mobile data to second SIM. Here its Vodafone for me. Once this is done, Preferred Network Type option will get disabled for the 1st slot, and enabled for 2nd slot. 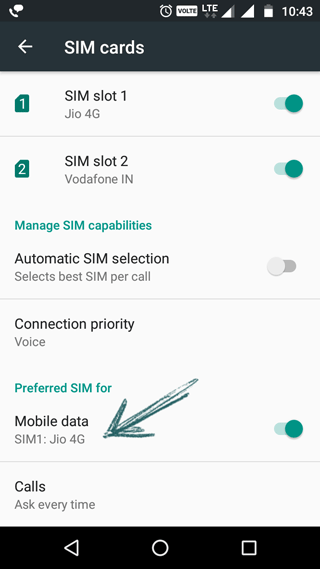 Please note that if you enable 3G or 4G in secondary slot, Jio SIM in primary slot will not show any network and will not work.